Enterprising Athletes on the GO: Management Trainee Justin E.
A fitness guru, a high school teacher and a banker all walk into an Enterprise branch in Spain. Why? Because they all want a new challenge — and that’s exactly what they’re getting. Two are helping implement the inaugural Management Training (MT) program in Spain, while one just became a part of it. The most tenured of the trio is the fitness guru — Gerardo J., Branch Manager of the Chamartín train station in Madrid, Spain. He joined Enterprise’s International MT Program in 2013 and learned the ropes of the business in London knowing that he would return to Spain. 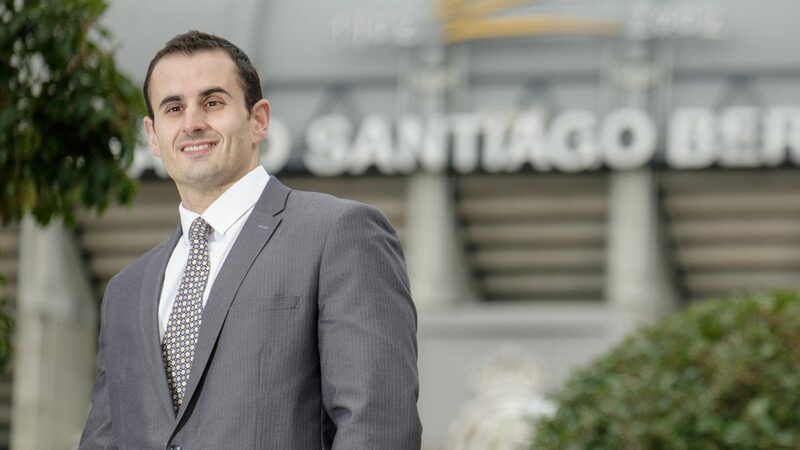 Gerardo excelled and now is the first Branch Manager in the country who began his training outside of Spain. When asked why he likes working for Enterprise, Gerardo doesn’t hesitate before praising the company’s career path. He says the best thing about working for the global brand is that he has an absolute picture of what his career path can look like as long as he puts in the effort. Virginia P. is a recent Management Trainee learning the business from the ground up. Launched in September 2015, the Spanish MT program mirrors the process used in the U.S., Canada and the U.K. It’s open to both new hires and former Atesa employees interested in advancing their careers. All MTs receive on-the-job training on a broad range of topics, including customer service, sales, marketing, leadership and operational tasks. Even though Gerardo, Marco and Virginia are in different stages of their careers, they all have one thing in common: They can’t wait to watch Spain’s MT program and business thrive. “I’m looking forward to watching the MT program become more established and successful in the future — one that Spanish grads will proudly pursue in the years to come,” says Marco. Gerardo couldn’t agree more. “As we continue to grow our operations in Spain, having a successful training program will be a crucial piece of the puzzle,” he says.